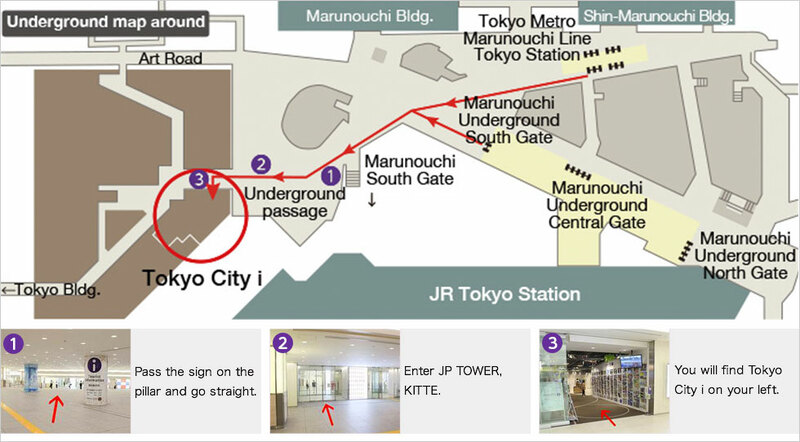 Access　NEED INFORMATION？　COME TO "Tokyo City i"
・Directly connected with Tokyo Station from the underground passage. 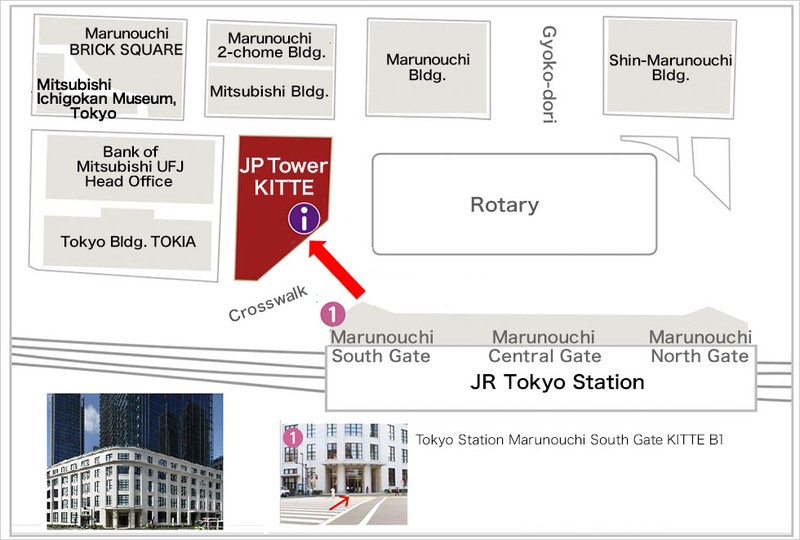 ・1 minute walk from JR Tokyo Station Marunouchi South Gate. "Tokyo City i" is 1-minute walk from Tokyo Station Marunouchi South Gate. 5 stations along the 20 lines are within walking distance. We are easy to access from both Narita and Haneda Airport.